We were gripped by this Fifties newsroom drama when the series started last year. Now, the cast are back for a second series set one year later, in 1957. Bel (Romola Garai) is struggling to keep a lid on Hector (Dominic West) and his ego, while newcomer Randall Brown (Peter Capaldi) strives to put his stamp on the news agenda. Plus, Freddie (Skyfall’s Ben Whishaw) is controversially brought back into the fold after being fired. 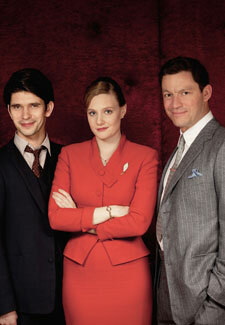 The Hour is on BBC2 tonight, Wednesday 14 November, at 9pm.